I've replaced original Flash memory chip UPCT25VF512A (512 Kbit) to SST25VF032B (32 Mbit), so now I have "Ultimate Devo F12E"(devof12e-4MB). It's very simple (you need replace 8-pin chip) and promising mod and you will have: stable filesystem with easy access (USB drive), 4MB of file space and it will open the opportunity to further development. ATTENTION! From 25 Aug 2017 we can use different flash memory chips, from series Microchip SST25VFxxxB and SST25VFxxxA, ISSI IS25CQxxx, Winbond W25QxxBV. Reasonable capacity can be started from 8Mbit. New builds will have name "devof12e-XMS" (Extended Memory Specification). ATTENTION! From 25 Feb 2018 we can use additional flash memory chips, from series Microchip SST26VFxxxB, Macronix MX25Lxxxxx and Adesto AT25DFxx1A. ATTENTION! Supported XMS transmitters: Devo F4, Devo F7, Devo F12E, Devo 12s. I've added to my custom v5.0.0 build "devof12e-4MB" and "emu_devof12e-4MB". If I can to desolder original chip and solder new chip with my old eyes, it can be performed by any user. I use wide chisel (5mm) to desolder (slightly raise) one side of the chip and then do it for other side of the chip. With two iterations I can desolder chip completely. I do not use any additional pins to solder new chip, I bent pins at right angle to chip surface and solder to PCB tabs. Unfortunately you can't use original Walkera firmware after this mod. With my build you have to install "DevoF12E-4MB" firmware exactly same way as for Devo 10: flash firmware by DfuSe USB Upgrade, format USB drive and copy filesystem files. How to unsolder the chip instruction, from M8A4X. The used solder is ROHS conform, no lead used. This makes it harder to solder. Depending on your Tools, the easiest way is to put a lot of new solder on one side of the chips legs, so it touches every single leg on this side. If not all pins are covered you can "wipe" in slow manner over the legs so they warm up even. Then apply some lifting force from the pinless side of the chip and gently! try to lift the heated pins up a bit. The still cold pins on the other chip side will thus bend a little. When you have one side of the legs lifted a little bit it is easy to remove the solder from this side by using solderwick or a desoldering pump or even by the solderingiron alone, always heating the solder, take some away, clean the tip of the iron and again take some solder away until there are no connections to the solderpads. The other side of the chip goes the same way, but it should get loose pretty fast as it is no longer held in place by the now already loose pinrow on the other chipside. This way you already apply fresh solder to the pads. When the chip is removed, go over the solderpads just to get them as "flat" as possible. This helps when installing the new chip. Pre-tin the legs of the new chip. Because of the wider new chip body, gently bend its legs closer to its body, check if you bent them enough by placing it over the solderpads. It will be raised a little bit from the mainboard. You could cut the extra length of the pins or leave them as they are. I left them as they are and after installation put some hotglue under the chip to support it a bit. But unless you have the manner to throw your tranmitter on the ground on a regular basis this should not be neccessary as the chip is very lightweight an the soldered pins support it very well. When the pins fit good, place the new chip on the pads and secure it temporarily with e.g. some tape (you can hold it also in place with some tweezers, if you got a steady hand which I have not...). Now solder one leg of the chip and check if it is still aligned. If it is ok, solder one pin on the other side of the chip, apply gentle force on top of the chip, the leg should "dip" into the tin on the solderpad. Once again check the alignment. 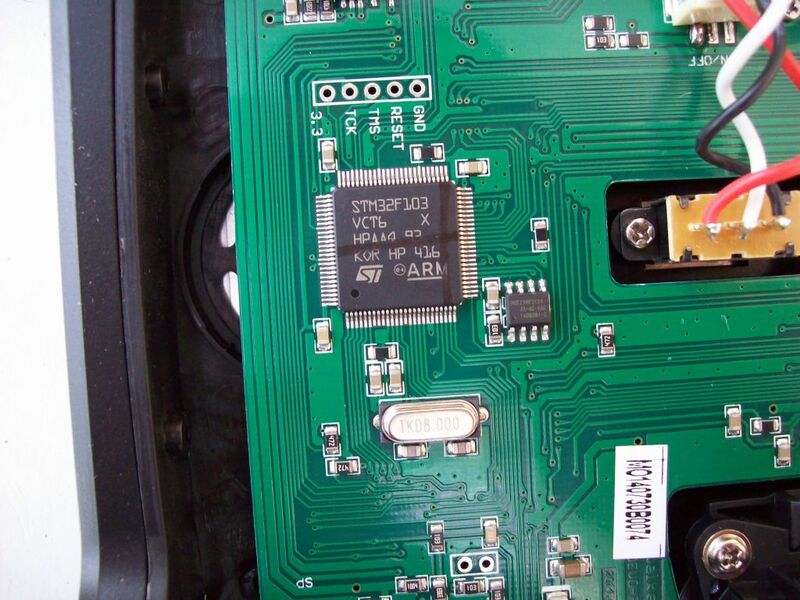 If it is OK, solder all the pins to the mainboard by just touching the pin and pad, the applied solder is enough to create the connection in most cases. Check for solderbridges, if there are some, just heat the spot with the cleaned tip of the iron, normally the solder should find its way to the correct place without bridges. P.S. If you haven't plans to return back to Walkera firmware and not sure that you can desolder flash memory chip, you can cut chip pins by cutter one by one and then desolder pin remainders one by one. It is much more safe for PCB. Last edit: 25 Feb 2018 05:51 by vlad_vy. Last edit: 19 Feb 2017 05:46 by vlad_vy. By the way: dialog boxes at "text" GUI drawn incorrectly. Dialog box borders partially overwritten and so on. Last edit: 18 Feb 2017 09:06 by vlad_vy. Just ordered some of the spi flash chips, just in case one gets damaged when installing it. As soon as they arrive I will give it a try. I placed pull request, so I hope "devof12e-4MB" will be part of Nightly Builds. Last edit: 19 Feb 2017 16:01 by vlad_vy. 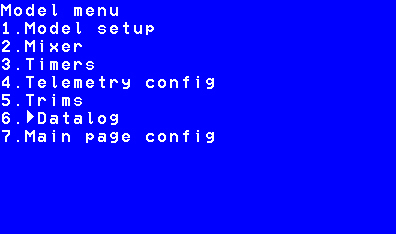 vlad_vy wrote: By the way: dialog boxes at "text" GUI drawn incorrectly. Dialog box borders partially overwritten and so on. Fixed dialog boxes for "text" GUI. It is "Bind" dialog, "Safety Warning" dialog and change Mixer GUI from "Advanced" to "Standard" dialog. Tested with Devo F12E and Devo F7 emulator. I will place pull request later. Last edit: 18 Feb 2017 16:30 by vlad_vy. 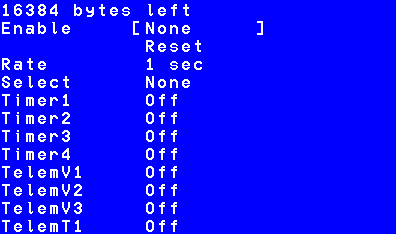 * Added "Datalog" page to DevoF12E-4MB. * Fixed asterisk (*) and degree symbols for Devo F12E. This is fantastic, just ordered some upgraded chips, can't wait to give this a try. Many many thanks to all who are working on this, its all greatly appreciated!!! Last edit: 19 Feb 2017 16:02 by vlad_vy. Vlad, would you use the test builds upload instead of forum attachments. For this thread it has not sense, since as soon as pull request will be accepted it will be at Nightly Builds. For "Deviation v5.0.0 build with latest protocols" I don't understand how to differentiate builds versions from master branch versions, they will have the same numbering (deviation-target-v5.0.0-xxxxxxx). Last edit: 19 Feb 2017 09:44 by vlad_vy. 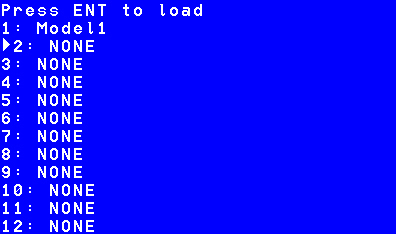 I see that all Load/Save lists have remainders with scrolling. Cursor move string to one position to the right and last symbol not cleared with scrolling. 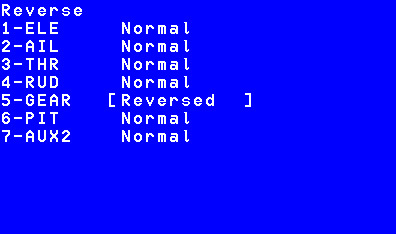 vlad_vy wrote: I see that all Load/Save lists have remainders with scrolling. Cursor move string to one position to the right and last symbol not cleared with scrolling. 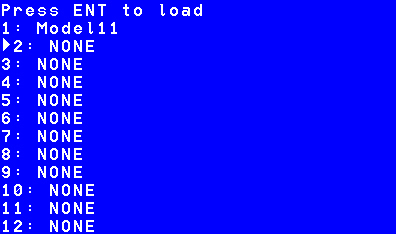 *Fixed Load/Save lists for "text" GUI. Last edit: 19 Feb 2017 11:15 by vlad_vy. *Fixed "Splash" page for "text" GUI. 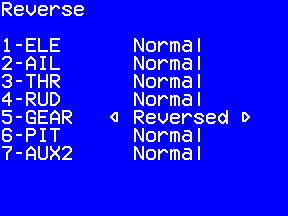 It use incorrect X, Y calculation for Devo F12E display. Last edit: 19 Feb 2017 15:58 by vlad_vy. Last edit: 22 Feb 2017 13:14 by vlad_vy. It is incredible how much and how fast you are doing this code changes! 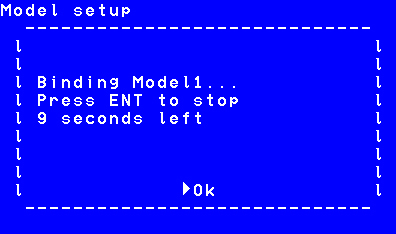 I remember this "not clearing last charcter" when scrolling through unused models, the letter "E" of "NONE" would remain on the last place of an empty model when the "cursor arrow" has been in front of the line. No big deal but clearly nicer if fixed as if still present! It seems that Mixer GUI "Advanced" is ready to use, but Mixer GUI "Standard" is not ready at all and can't be used at the moment. It looks like empty placeholder (window) for model icon and graphs partially overlay Splash dialog and Safety dialog. Last edit: 19 Feb 2017 18:58 by vlad_vy. 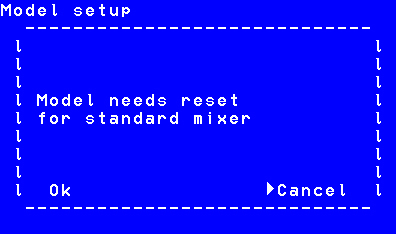 * Fixed Mixer GUI "Standard": "Reverse", "Subtrim" and "Fail-safe" pages. Last edit: 20 Feb 2017 07:18 by vlad_vy.